Ah, Canada! Is there a more magical place on Earth? We think not! It's the land of maple syrup, hockey, friendly folks, and those warm, furry hats. They also gave the world Ryan Gosling, so there's that! Sure, it can get chilly up there and sometimes the moose can be a little crazy, but we'll take a lovely Canadian getaway over a tropical cruise trip any day! Are you headed to Canada? Are you a proud Canadian yourself? Well, then it's time to wear that leaf loud and proud with this handy waist pack! 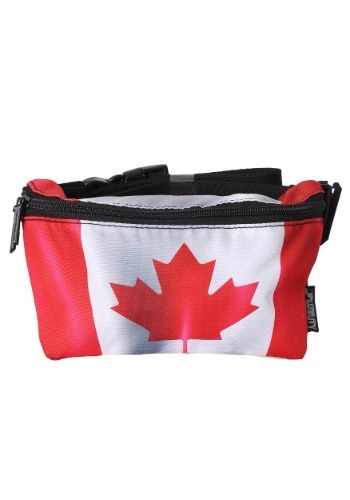 This Canada flag fanny pack is made by the folks from Fydelity. 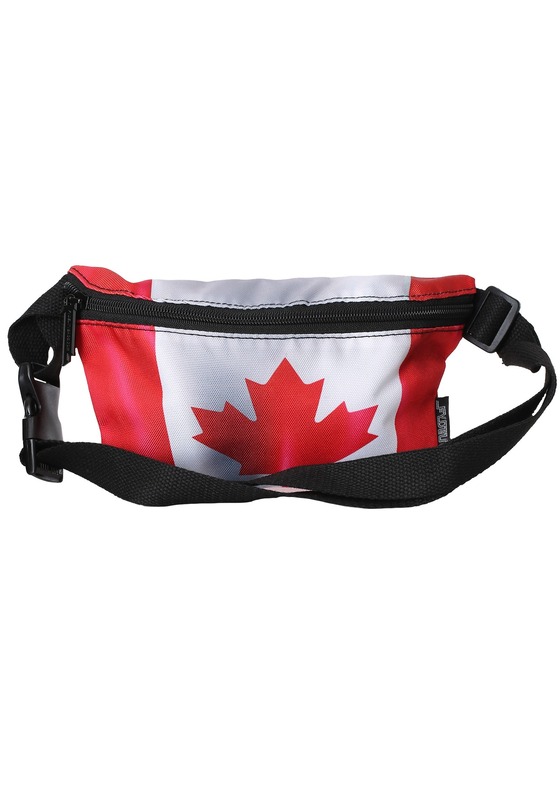 It's designed to look like the Canadian flag, so it's one waist pack that you can feel honored to have it strapped around your waist. It has an adjustable band around the waist and it fits with parachute buckle. The zipper compartment features plenty of space, so you can fit all of your necessities inside! If you're going on a trip and you want to represent your favorite nation, or if you just need a handy place to keep your wallet, this Canadian themed waist pack is a great way to do it!